As the prices of many homes for sale in Central Florida continue to rise, a lot of older adults may think they won’t be able to afford their dreams of retirement in this part of the world known for fun and sun. 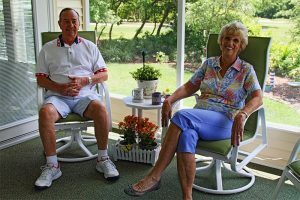 But there is a way to enjoy resort-style living and all the attractions that the Sunshine State has to offer without straining your retirement budget: Choose to live in a manufactured home community for adults 55 and older that’s professionally managed by Blair Group. All five of our Central FL gated communities feature attractive manufactured homes in beautifully landscaped neighborhood settings. Residents of our communities enjoy exclusive access to resort-style amenities such as swimming pools, fitness centers, community clubhouses, and more. Plus, purchasing one of the homes for sale in any of our 55-plus communities will put you within easy driving distance of the many attractions that Florida is known for. Cypress Lakes – This Lakeland community is a golfer’s paradise, with two 18-hole golf courses, plus an upscale clubhouse, two pools, and more. It’s also centrally located between two tourist hotspots: Tampa and Orlando. Bear Creek – Golfers are also drawn to this community in Ormond Beach because of the adjacent golf course. Bear Creek is only minutes from the Atlantic Ocean, and has three community clubhouses and pools. Hyde Park – When you choose one of the homes for sale in this community near Orlando, you’ll enjoy a clubhouse and pool, plus the convenience of being a short drive from some of the best-known theme parks in the state. StrawBerry Ridge – This community is conveniently located near Tampa, offering easy access to popular fishing spots, as well as job opportunities for those who want to keep a foot in the work world. Two clubhouses, plus indoor and outdoor pools, make this an attractive retirement destination. Lake Griffin Harbor – This community makes the most of its picturesque lakefront location in Leesburg with a 55-slip marina and a clubhouse-and-pool complex overlooking the water. To find out more about the manufactured homes for sale in any of our beautiful Central Florida communities, contact Blair Group today.